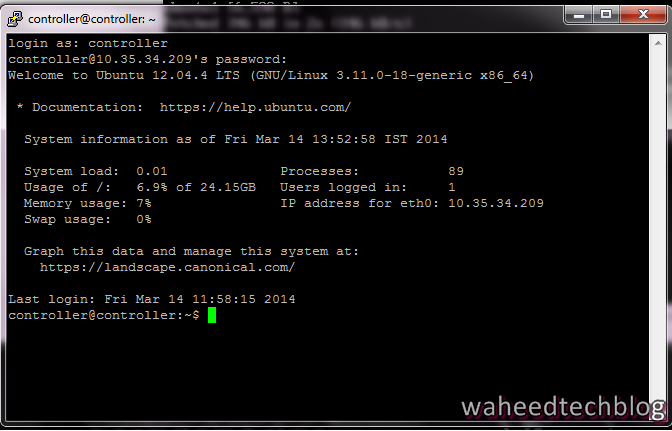 Tech Blog: How to connect via SSH (putty) to your vmware machine (Ubuntu) ? How to connect via SSH (putty) to your vmware machine (Ubuntu) ? It was really a pain for me to work on Oracle VM, It won't allow you to use mouse or do copy-paste. So I decided to connect my local VM via SSH( Putty). 1. In your VM box, Goto Settings -> Network ->Adapter 1 and select "Bridged Adapter"
2. In your Ubuntu Machine, Install "openssh-server"
3. Reboot the VM and Run "ifconfig" command in terminal and get "inet addr" of "eth0". 4. Open putty, Enter the IP address(IP of your VM machine ) , Select port as "22" and connection type as "SSH" and click on open button.